Delhi CEO told the EC that the BJP had approached MCMC for pre-certification of some content. The channel was also featuring other contents that were not approved by the body. The Election Commission (EC) has barred NaMo TV from featuring any political contents in their channel without prior consent from the media certification and monitoring committee (MCMC). The EC has written a letter to the Delhi's chief electoral officer (CEO) Ranbir Singh stating, "Any political publicity materials/contents, being displayed on electronic media without the requisite certification from competent authority (MCMC in this case) should be removed immediately and any political content shall only be permitted strictly in accordance with the ECI instructions in this regard." 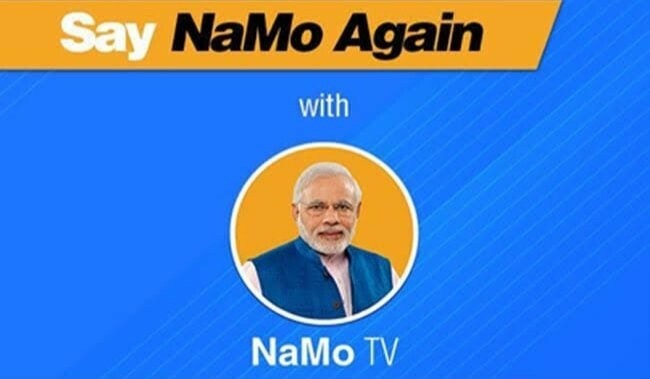 Sponsored by the Bharatiya Janata Party (BJP), NaMo TV is a 24-hour-channel that exclusively features Prime Minister Narendra Modi's speeches and other content related to the party. The channel was launched when the country was preparing for the Lok Sabha elections. He also said that the logo of NaMo TV, which the BJP said is part of the NaMo App that it owns, had been approved but did not certify the content as it contained the old speeches of Prime Minister Narendra Modi, reports NDTV. If the channel broadcasts any political publicity content without proper certification, it will be taken as a violation of the model code of conduct (MCC). Earlier, Congress had filed a complaint against the channel following which the EC had sought a report from information and broadcasting ministry over the launch of the channel. NaMo TV has drawn a lot of protests since it was broadcasted on the television networks on March 28, it was also slammed by the opposition parties. Aam Aadmi Party (AAP) had also complained to the EC, asking how the BJP was granted permission to launch its own TV channel after the model code of conduct was enforced. The party also said that this benefits the party and violates the principle of 'a level playing field', reports Economic Times.